We are here to help. One of the best ways is to hip you to a quick hairstyle that will have you out the door in a flash and looking oh, so lovely and fab by using the power of protective styling. Protective styling allows us to take a break and retain our length, however it can be costly to implement because the hair and the labor cost can be horribly expensive. No one wants to break the bank on a new weave even though they want the utmost care for their hair. 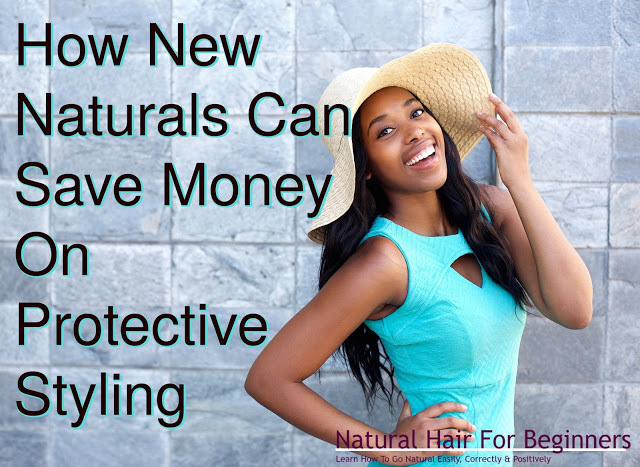 So this article speaks to saving money on protective styling such as braids, weaves or even wigs. If it’s too costly to go to the hairstylist, search on YouTube where there are thousands of videos instructing ladies on how to do box braids, weaves, or even creating your very own wig. You’ll learn from the YouTube gurus who have perfected the style and you get to learn it in different ways. In addition, this benefits you because no one knows you’re hair like you do. You’ll be able to install the style without the hairdresser telling you you’re tender-headed or trying to up-sale your visit. Hope these tips helped you and that you’ll take them into consideration for the next time you decide to protective style.